When Chris and I first got married, we headed to IKEA to check out some options for furnishing our very first apartment. I LOVE IKEA and was so excited to take a trip to Sandy, Utah and take Chris on his very first IKEA experience! We picked up a variety of things, one being the Lack coffee table. 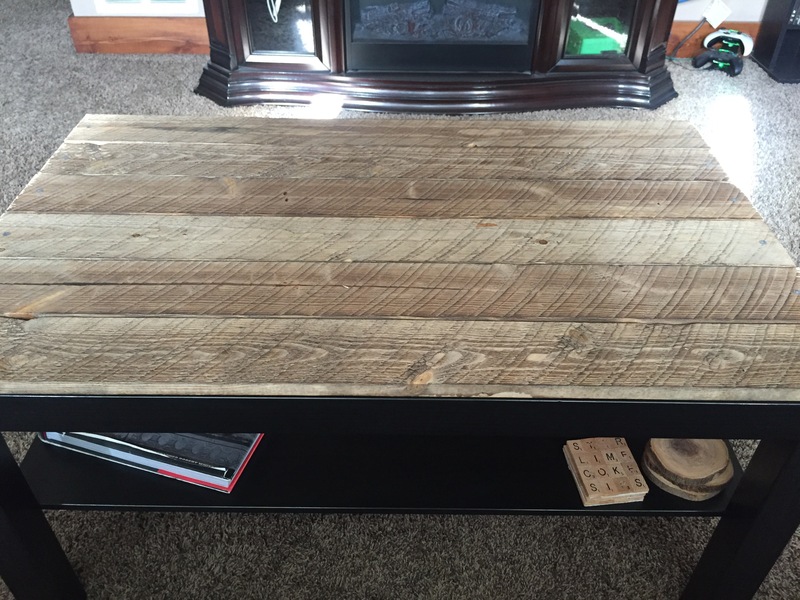 The coffee table fit perfectly with our furniture and was a great addition to our living room. Fast-forward to two years later, and we still had the very same table. I had discovered over the years that the top of the coffee table showed EVERYTHING. Rings from glasses, every tiny speck of dust, and every fiber from clothes, my dog’s hair, and I found myself dusting it every single day. I wanted to do something different with the top, and Chris had a great idea. We thought of covering the top with wood, and headed to Home Depot to scope out our options. 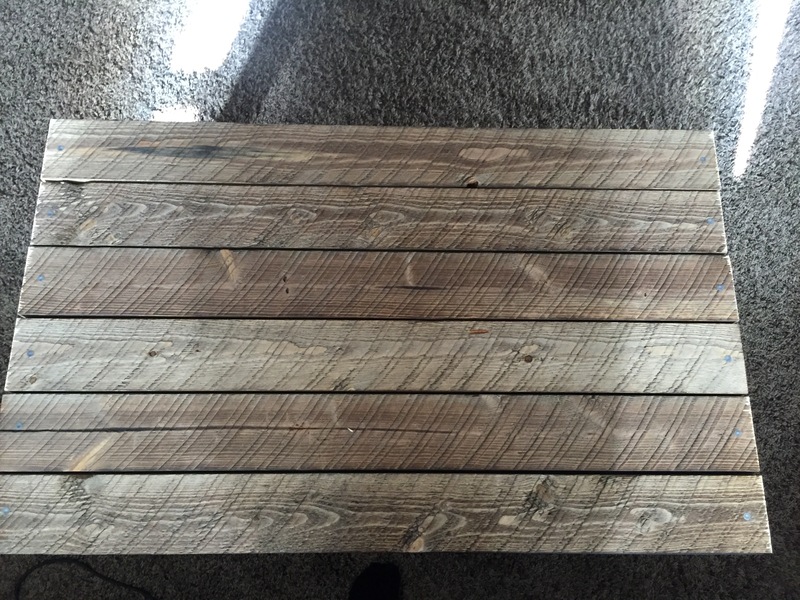 We stumbled upon some planks of pine made to look like barn wood, and I fell in love. We bought three eight foot pieces and had them cut them to size right at Home Depot. All it took to attach the wood to the top was a hammer and nails, along with figuring out the spacing. 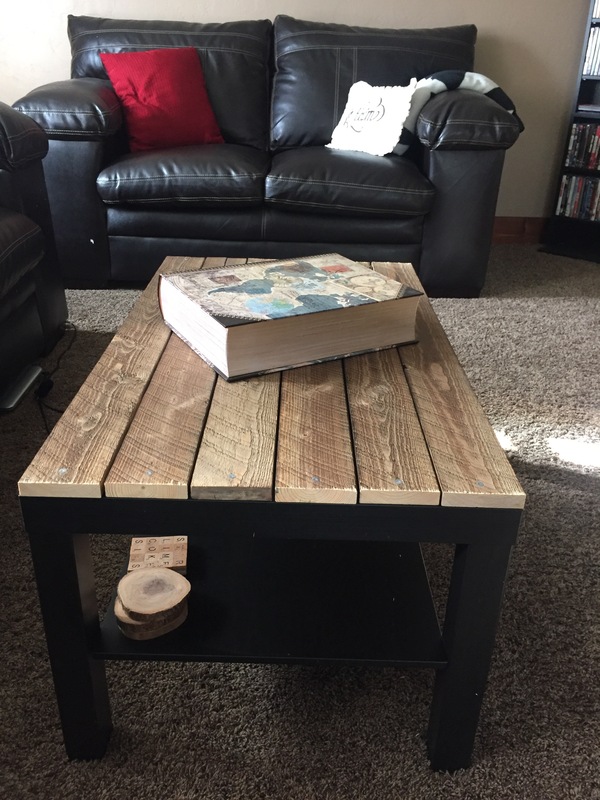 I adore our IKEA hack, and am so glad we did it!